Durham is convenient and connected—just a 1-hour flight from New York City and a direct flight from London or Paris. During each residency, you’ll live, learn, and work on campus at Fuqua, although there is much to explore in the local area. Durham is an eclectic city, with a diverse mix of historical and cultural places, sports venues, houses of worship, and great restaurants. Known for everything from laid-back Carolina BBQ joints to charming donut shops and small-batch distilleries, Durham was voted America’s foodiest small town by Bon Appétit. The economy is driven by knowledge-based enterprises and is home to one of the oldest and largest science parks in the U.S.—the Research Triangle Park (RTP)—which houses more than 150 companies, including Fortune 100 multinational operations and start-ups. Forbes ranked the area as #2 among the best places for business and careers. Having so many influential organizations so close to campus connects you with leading industry speakers and approximately 2,500 local alumni. Fuqua’s state-of-the-art facilities are designed to enhance productivity, teamwork, and strategic decision making. The school spans several buildings and occupies nearly half a million square feet on the West Campus of Duke University in Durham, North Carolina. 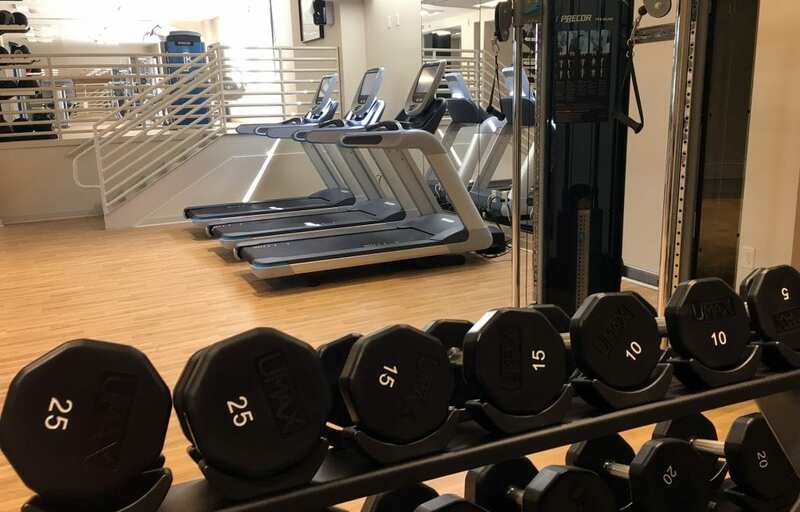 During your residencies, you’ll stay in the four-star JB Duke Hotel, which also encompasses the R. David Thomas Executive Conference Center, 198 guest rooms and suites, a full-service restaurant, two bars, a fitness center, and other amenities. The R. David Thomas Executive Conference Center originally opened in May 1989 and is named after the founder of Wendy’s International, Inc. The JB Duke is connected to the main Fuqua building by covered walkway. The Ford Library provides a serene, comfortable environment for studying and team meetings. The library is designed for reader comfort, with abundant natural light, relaxed seating, and generous display space. 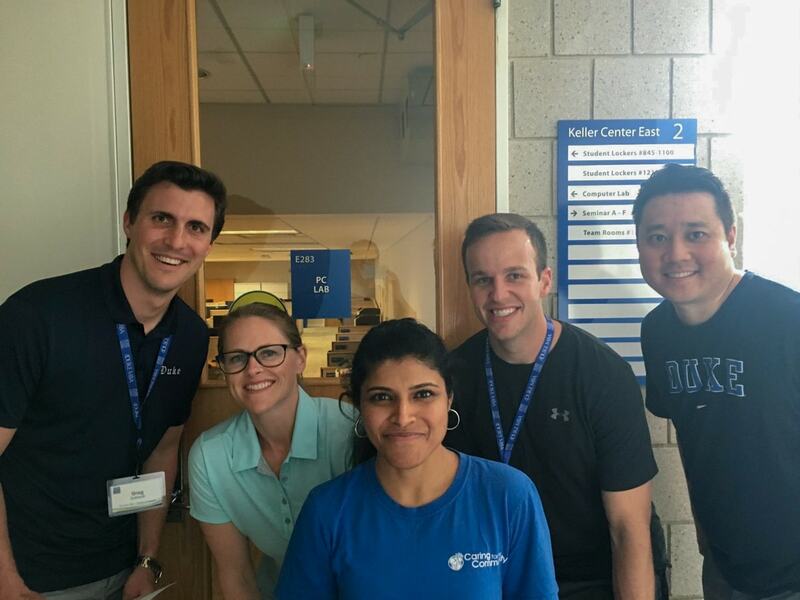 The library’s career collection includes information about companies that recruit at Fuqua, resumes of Duke MBA alumni, internship reports, and job listings. The library also provides access to job search databases including Vault, WetFeet, and OneSource. This 70,000 square foot student center offers a spacious indoor winter garden area, outdoor terraces, changing rooms with lockers and showers, a student communications center, additional office space, dining facilities, and a student lounge. The Fox Center connects the main wings of the school and serves as the school’s hub—it’s where you’ll attend “Fuqua Fridays,” mingling with your fellow students as well as faculty and staff. Named in honor of former Dean Thomas F. Keller, this building includes two wings with auditorium-style classrooms, seminar rooms, dozens of small team rooms, and large auditoriums for school-wide presentations and guest speakers. The building is also home to administrative, development, career, and support offices. With more than 56,000 square feet, this building houses the majority of faculty offices, as well as seminar and meeting rooms. Named in honor of former Dean Douglas Breeden and his wife, Josie, this building holds classrooms, auditoriums, team rooms, meeting space, the Ford Library, and our MBA admissions and operations offices. The building features a rooftop terrace. With its majestic Gothic architecture and forest landscape, Duke’s campus isn’t just beautiful—it’s also a place to see, do, and discover new things. Located on campus, the Washington Duke offers world-class golf spanning 300 acres of tall pines and hardwoods. The Duke Chapel, an iconic symbol of the university, was built in 1932 and stands at the center of the Gothic West Campus. It features a 210-foot tower, a 50-bell carillon, 77 stained glass windows, and seating for 1,600 people. Enjoy 55 acres of landscaped and woodland gardens in the heart of Duke's West Campus, open to the public daily from 8 a.m. to dusk. Each year more than 300,000 visitors enjoy the gardens' five miles of walkways and more than 8,000 species and varieties of plants. Designed by architect Rafael Viñoly, the Nasher is a major center for the arts on campus. Its permanent collection includes some of today’s finest contemporary art, with a focus on work by artists of African descent, European medieval art, and European and American paintings. This stadium is considered the crown jewel of college basketball. Originally conceived on the back of a matchbook cover in 1935, Cameron has become the celebrated home of the Duke Blue Devils. The only university-based facility in the world devoted to the study of prosimian primates, the Duke Lemur Center is home to the world's largest colony of endangered primates. Newcomers to fitness are becoming obsessed. Goals are being set, races organized, and weight lost! 5:00 am at the JB Duke Hotel fitness center will get pretty busy whenever Weekend Executive MBAs are in residence. Want to connect with someone who's been in your shoes? Tell us what you’re hoping to learn and a Weekend Executive MBA student or alumnus will get in touch.